Most organizations are leaving money on the table because they aren’t tracking the right metrics for their renewals business. Over the last 13 years, ServiceSource has worked with a number of leading tech-enabled companies including AVAYA, Microsoft, Workday and VMware to develop this set of key performance indicators that are proven to drive exceptional performance. 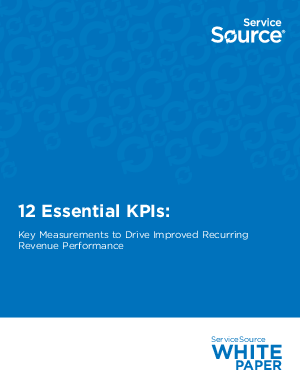 Download this whitepaper to take advantage of these metrics and grow your recurring revenue.